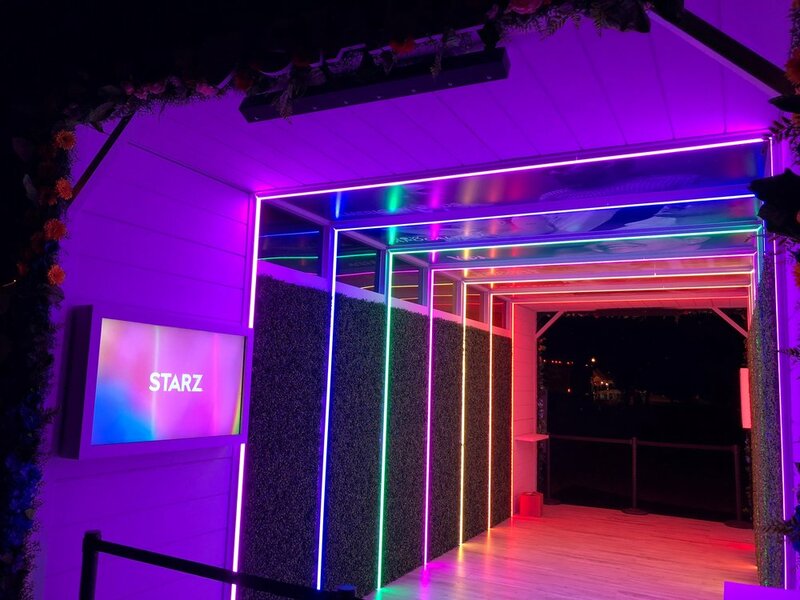 MadeFirst worked with Civic Entertainment and designer Dale Eaheh to fabricate the STARZ activation at Pride Atlanta. This activation included a 10 foot high by 10 foot wide by 25 foot long tunnel. This tunnel included acrylic panels, greenery & flowers, LED uplighting and exterior signage.